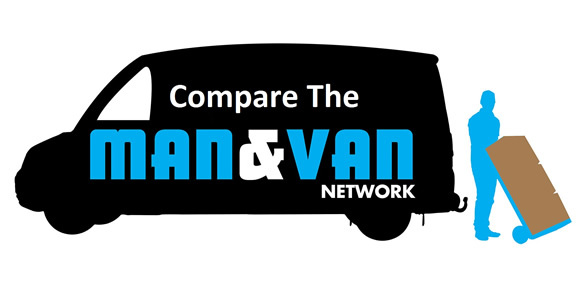 We can't give you a quote from Rapid Man and Van Services, but we have hundreds of drivers waiting to offer you a great price. 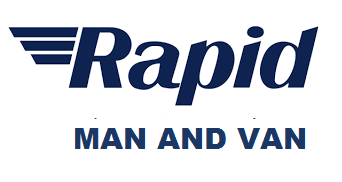 Have a question for Rapid Man and Van Services? No problem, send them a message and they'll email you back as soon as possible. If you have a more general question you might find it answered in the FAQ, or you always contact one of our brilliant customer service team. * Rapid Man and Van Services won't be able to see your email address. 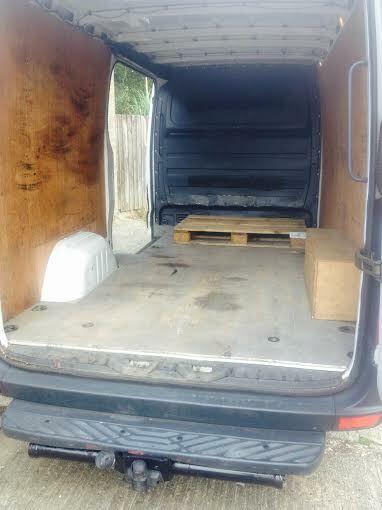 FOR IKEA, EBAY, OUR MAN WITH A VAN TEAM WILL DO ALL THE WORK. YOU JUST TELL US WHERE YOU HAVE BOUGHT YOUR ITEM, LIAISE WITH THE VENDOR AND LET US TAKE CARE OF THE REST. We welcome any move you have, 5 star service with competitive prices. Phoned me in advance to let me known he was going to be slightly delayed due to traffic. Very friendly and helpful. Was not phased when we got to my destination and we discovered the lift was out of order so had to take the stairs. Definitely recommend! Excellent service - prompt, friendly and prepared to go the extra mile to help. Thank you! Excellent, very helpful. Thank you very much. He really worked so hard helping to move my furniture with me and Not one grumble - on the contrary a big smile and enthusiasm to get as much done as he could, a lovely, lovely man I really can't thank him enough. I would not hesitate in recommissioned him to anyone, old fashioned respect for himself and his job.. Top man! Latif was extremely helpful and made our move go so smoothly. I’d definitely book him again. Excellent customer service. Courteous and respectful of items being transported. Highly recommended. The driver helped with the move even though it wasn't his job to carry my stuff. A good man, funny, took good care of my items and arranged all my items like a pro tetris player. Much recommended. Extremely happy with the service i received. The driver was very helpful and made my move so much easier. Thank you very much. Latif was very friendly & helpful. Very efficient service and would definitely use him again. Great experience! Would use the same driver again. Although he was late due to traffic he had called ahead to apologise and warn me so it was no problem. Driver was very helpful and approachable. Would recommend. Superb service, very professional driver with a very positive attitude, made the whole day much easier! Absolutely great. Would recommend to anyone. The whole experience was an absolute pleasure - I can totally recommend! Brilliant. Turned up on time and just got on with the job. Very friendly, honest, experienced, hard-working, and really knew what he was doing. I would highly recommend anyone to use this driver! Very friendly and efficient. Would use again. 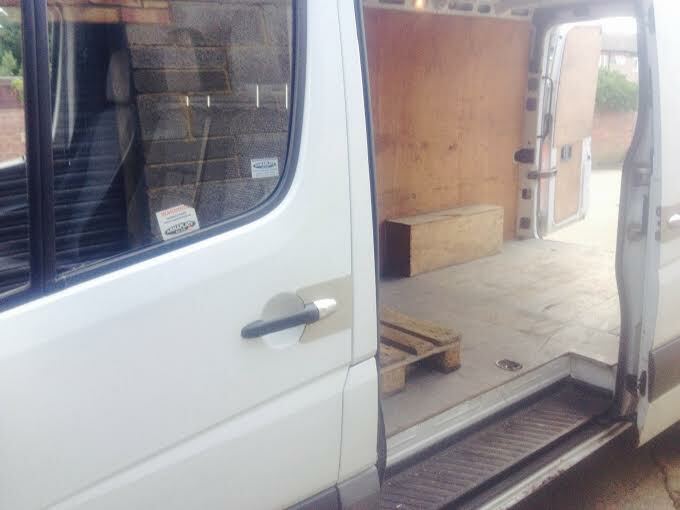 I am very happy with the service the driver has provided today, with his high attention to the safe and secure loading and unloading the numerous items I had to move. The diver also came across as a nice and cooperative person, so that was a good teamwork as well. Really helpful and very hard working. Did not complain despite some heavy lifting! Thank you. thank you for making my move so positive! Driver was polite, prompt and extremely helpful. Absolutely recommend. He did call to say he was stuck in rush hour traffic. Really helpful patient and professional.Great guy and highly recommend.Nothing too much trouble. Perfect. Supposed to be large van not just a van. We left my property together and he was behind me doing 50 miles/hour on the highway which is unacceptable and tried to charge me extra for being slow as well! We are sorry the driver was delayed to your booking, however, it should be noted that a fully loaded large van cannot travel at the same speed as a car. It would be unsafe for the driver to do so, and is in fact illegal. The driver was, polite, cheerful and helpful. Your service exceeded my expectations, thank you. Our driver, Latif, was friendly, punctual and efficient. Was more than happy with the service provided. Thank you. Great guy, very friendly & helpful. Made the move very simple and stress free. Great driver. Would recommend him anytime. Atif was amazing. Worked so hard and helped out more than he was obliged to! Excellent experience! Great experience with Latif, very professional, on time and over all - great experience. Thank you for great job! Driver was very helpful and relaxed.The journey proved quite pleasant. Very punctual driver! The move was fast and with no issues. Thanks a lot! Can't recommend highly enough- knowledgable, kind, took time rather than rushing so to look after my things. Very helpful. Will book again! Latif was great! He fit everything in the van-and there were a lot of things-! And was very flexible with the move in which was in central London on a busy street! Thank you so much for all your help! excellent service from Latif all round. Absolutely fantastic, great service and great company throughout the whole move and trip from London to Bristol. He helped us a lot and was very kind and respectful. Felt like working with a family member! We absolutely recommend him and couldn't have asked for a better driver! We'd give more than 5 stars if we could!! What a lovely funny man! Most entertaining. The driver is extremely helpful and also very chill, relaxed and funny. He made the move so much easier and nicer. Latif is a fantastic guy and made the whole process very easy. He worked miracles by packing a lot of stuff into a tiny space. I'd definitely recommend him to anyone looking to move. Amazing service! Great guy, really helpful and knew exactly what he was doing. Def use again and highly recommend! He was very helpful but please advise your drivers not to address women customers as '"Aunty" ! Please do not hurt his feelings but notice as general advise. All very good and a nice willing and helpful chap! My driver was fantastic! He was so on the ball, really positive and actually made the move fun, when we all know it is really stressful. I car'nt praise him enough, we all chipped in and worked as a team. He was fab! Our driver called us and was able to come earlier which worked out well for us. He was polite, efficient, made this a very simple move of the few items we had. His van was immaculate. Highly recommend him. Really help and considerate, went the extra mile to help. Definitely using him again. Fantastic guy, really helpful and super fast! Nothing was too much trouble, no damage and great conversation! Well worth the money for a hassle free move! Driver was incredible!!! Such a lively helpful man. 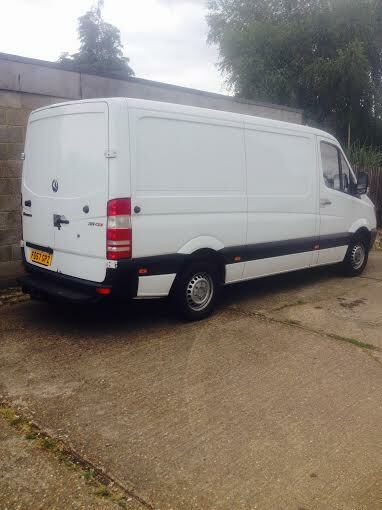 I would thoroughly recommend your service to anyone looking for a reliable, professional and last minute man with a van! Great and efficient. Would definitely recommend. Had a hassle free move, the driver was very helpful. Would definitely recommend! So helpful, nothing too much trouble. Careful and considerate. Would definitely recommend and use again. Arrived on the minute and everything was securely packed in no time. Latif actually did most of the move himself and was a big help! The whole move was done in 2 hours. Very professional, although early, he called to inform us before arriving. Very quick but careful. Everything was done within 1.5 hours. Highly recommended. Very good service!! The Driver was excellent! Would highly recommend! Absolute legend, super nice guy, really helpful. 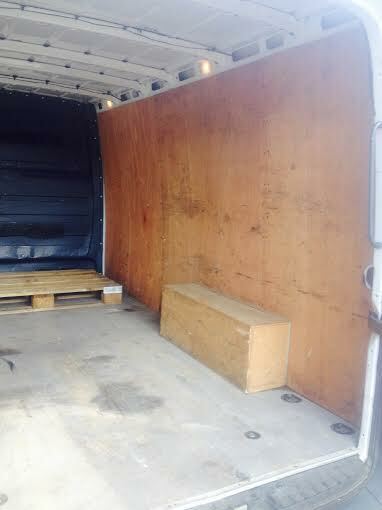 The service that we received from "Rapid Man And Van Services" was exceptional. Mohammed was extremely friendly, courteous, accommodating, organised and professional. He was punctual and careful yet speedy. His charge was very competitive and it was a pleasure to deal with him. Top man. Would use again. Thank you. The driver was very helpful and very polite! We were really happy with our move! Very helpful. Very professional. Would definitely recommend to anyone moving. The van was smaller than expected and smaller the the van the first time I used this website. The appears to be a variance in size despite using the same category. As a result I was unable to load all the goods and will therefore incur further expense to retrieve the remaining items. CMV response: All of our large vans comply with the minimum specifications displayed on our size guide and will never be smaller than this. Unfortunately there will always be a variance in the large van category due to the differing makes and models and this is something that is beyond our control. Great experience.. very polite. I was impressed with the service. Was late by over 15 minutes. Tried to overcharge by charging an extra 30 minutes when I documented that he was exactly on the 2 hour limit. Tried to charge £24 for walking up 4 flights of stairs when it was just 2. Would still recommend Comparethemanwithvan.co.uk as they adjudicated well with the payment query, but not this driver. Cheapest is not always best to be warned people!! Excellent service! Very swift loading and unloading! A pleasure, thank you. 10/10, Kept me informed on the collection and ETA continuously, would happily use him again. Friendly and helpful driver, the move went smoothly. Would recommend! Very helpful and friendly driver, made good time, my items were looked after and he helped me get my stuff up two storeys; highly recommended! Really great driver. Incredibly helpful and accommodating and just lovely and friendly. I would highly recommend him. In terms of the moving, lifting and transporting: everything great. Brilliant, helpful, wanted me to only carry the light weight items whilst he did the heavy item. Friendly and polite! Excellent service for very reasonable price. Driver was quite friendly and helpful- would definitely use again! ???? Great driver, very helpful and caring for us and the stuff we had to move. Our driver was amazing! Very polite and went above and beyond to help us out! Would highly recommend! Such a gentleman. Really good service, driver was nice and friendly and handled my items with care. Would definitely use this service again! Brilliant experience, very helpful and good driver. I made a mistake on the booking time and he kindly re-scheduled. Great Guy! Would definitely recommend! Was an excellent move, one of the smoothest we have ever had. Driver was extremely friendly, helpful, quick and efficient. Would definitely use him again. Speedy, careful and very helpful...great all rounder ! Latif was excellent ! He handled all my things with care & is very professional . Highly recommended. excellent service, was on time and very polite and helpful. First time I had used this service but I will definitely use it again. Amazing service. Very friendly, helpful and efficient (was actually 10 minutes early). Will definitely use again. Highly recommended. Punctual and very friendly driver, would definitely recommend! The level of service he provided was outstanding. He was very decent and called when he was stuck in traffic and very helpful unloading. Thank you. Excellent rapport with the driver, Miatif Khan was very helpful indeed. You need to update your prize draw date. I am glad we found this service it matched our needs exactly and worked very efficiently. The driver was very sweet and helpful and made this whole move a walk in the park. Thank you!!! I had concerns regarding the driver's professionalism, as he asked me a lot of personal questions, made judgements and comments about me, talked about previous customers and said a lot of uncomfortable things about his personal life. The driver is excellent, very helpful. Appreciate his help. Latif was an excellent driver. His help and company during the move was very much appreciated and made me feel at ease. He is very efficient and respectful and I would highly recommend him to anyone. Driver was very helpful, will definitely use again! Not happy with how the driver suddenly hiked the price of the load which was only meant to take 1hour 15 mins to over 2 hours then tried to charge congestion when he hadn't even gone through the congestion zone. Called me to say he was 10 mins away. Packed and loaded the van well. Used blankets and straps. All done in 1 hour. Polite and courteous. Will be using your services again. Thanks! What an excellent, hassle free move!!! The driver was really friendly, took real care with my things and helped carry all my stuff. I would highly recommend this company to anyone. I can only highly recommend the service provided. Would definitely hire again in future if I need to make a move. Friendly and effective driver who went above and beyond as I had a broken shoulder and could not lift anything. Thank you very much, driver was very polite and helped us with everything! Great driver - was 10 mins early and helped me with all my stuff. He arrived very early. Contacted me to let me know he was on route. Service was excellent. Couldn't fault him at all. Friendly, helpful and very professional. I would definitely recommend him to anyone. This is my chosen driver for my next move, that's how pleased I was with his service. The best most helpful and nicest driver I have ever had ! He arrived early, carefully secured the item in the van and drove carefully to the drop-off. The driver was the BEST driver I ever met. I'm a international student and moving in into a apartment in London. And I don't know anything about the apartment. The only think I knew was there are lifts provided. But when we got there the security won't let us to park in the carpark do we need to park on the road and it's literally took us 15mins walk to reach my flat. And also need to change two times evaluators. But he didn't even lose his smile and keep on saying it's ok and also he didn't even said anything negative. I would highly recommend this driver to anyone who wants to move house. Coz he really helps!!!!! excellent move, efficient and careful in both driving and in getting wardrobe up narrow flight of stairs. thanks! The driver was absolutely brilliant. I don't usually leave reviews but this guy was fantastic! There was some confusion about how many sets of stairs needed to be negotiated and congestion charging - with which I dealt - but very good overall. I would recommend these chaps! They were very polite, efficient and would hire again. My experience was excellent. Despite a last minute change of driver, he arrived on time and was more than helpful, both loading and unloading and helped me get all my belongings stored away in the safest way possible. I can't speak highly enough of the driver and am hugely happy and relieved. A great experience - I would use him again in a shot. Amazing service. Great guy, Will recommend!